EPUFFER unveils the E-PIPE . 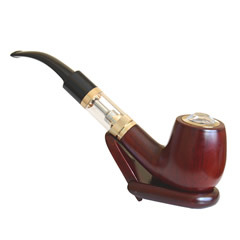 The New Electronic Pipe based on its award-winning MAGNUM™ technology. 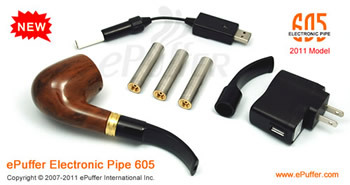 EPUFFER International Inc, the makers of electronic vaporizing devices, today launched their new ePipe 605, the world’s first Electronic Pipe based on cartomizer technology. The team at EPUFFER has spent months developing the e-pipe 605, which comes in several colors including classic wood and marble. 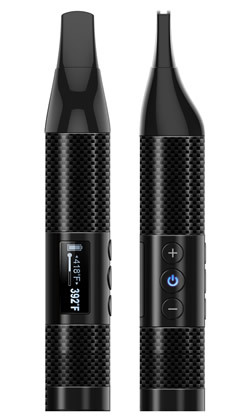 The cartomizer can be refilled and the e-pipe also has a manual switch, which users have to hold down to smoke. This button was added to save battery power and to simulate a more realistic pipe smoking experience. 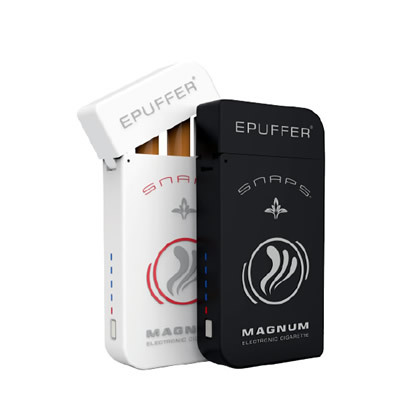 The ePuffer team is currently in talks with major distributors in a bid to launch its products on to the retail market, especially as the packaging on its products now carries proper labeling and warnings.The company’s ultimate objective is to place its e-cigarettes and e-pipes, which can currently be ordered online, in shops, bars and department stores. The e-Pipe 605 will ship in limited quantities for the first three months, but plans are in place to increase the production line. Like all ePuffer’s products, the e-pipe 605 contains a nicotine or nicotine free solution that satisfies the cravings of smokers but does not contain harmful tobacco, tar or carbon monoxide. An increasing number of smokers are starting to ditch traditional cigarettes and try this smoke-free alternative. Electronic pipes and cigarettes also produce a realistic vaporizing smoke when inhaled. And like all EPUFFER's products, the e-pipe 605 can be smoked anywhere and is not subject to the nationwide smoking bans in public places. 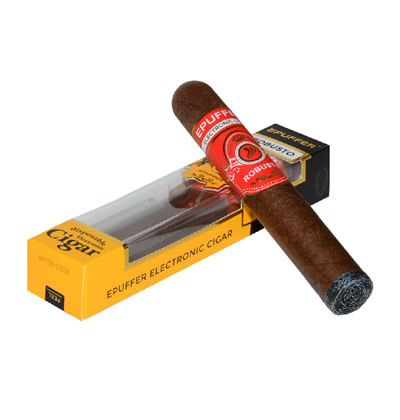 About EPUFFER International Inc. (“e-cigarette“/ “e-cigar “/ “epipe”) is an alternative to smoked tobacco products, such as cigarettes, cigars, or pipes. It is a battery-powered device that provides inhaled doses of nicotine by delivering a vaporized nicotine solution. In addition to nicotine delivery, this vapor also provides a flavor and physical sensation similar to that of inhaled tobacco smoke, while no tobacco, smoke, or combustion is actually involved in its operation.